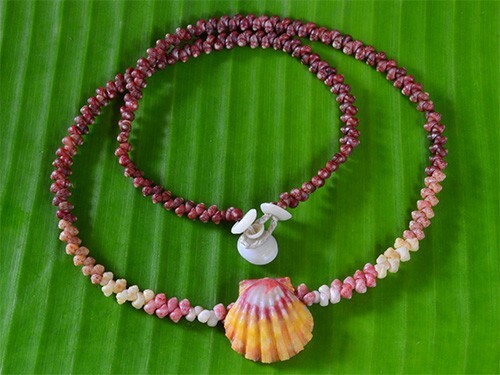 Kahelelani and Sunrise Shell Necklace in Herringbone Design. 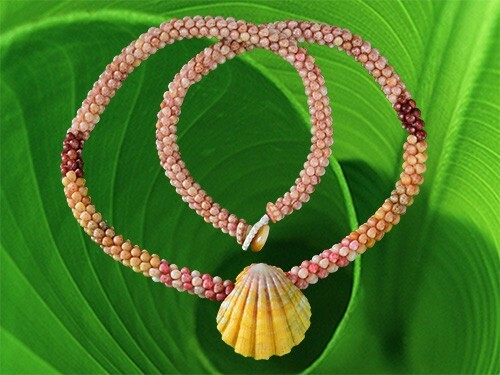 Five colors: white, burgundy, gold and pink Kahelelani shells, yellow Kamoa shells with an orange, pink and white Sunrise Shell Charm, 15″ – 18″ long. 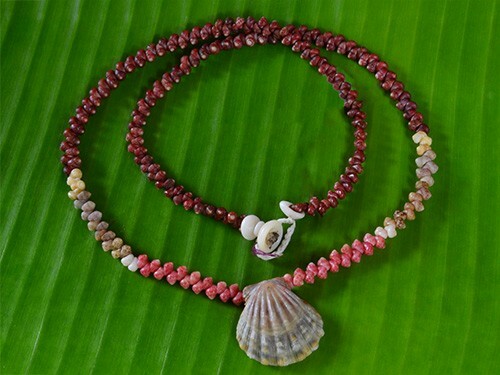 Website created by Hanalei Tech.